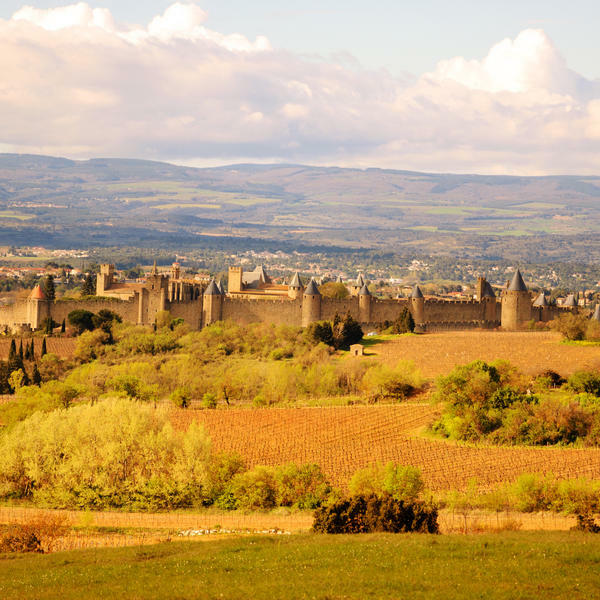 "It's my passion for the history and landscape of the Languedoc region, and Carcassonne's medieval citadel in particular, that inspires my storytelling. Whenever I see its 52 turrets and towers, the mellow stone against the blue sky, I can hardly believe it is real." 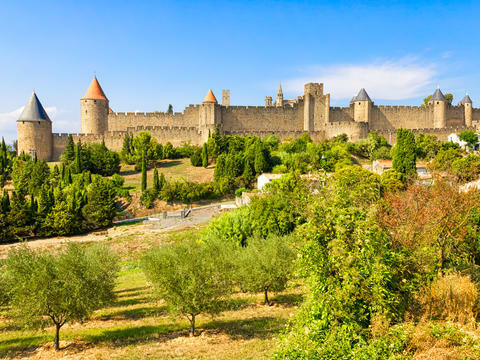 This tour, based in the historic heart of Carcassonne, explores the unique history of the city and the area around - and features a special appearance from the writer, who has done so much to bring its astonishing history to life. 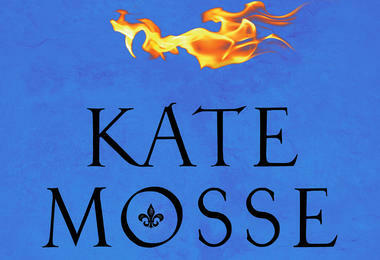 This will be a brilliant tour for anyone who has enjoyed Kate Mosse's work as well as any fans of this magnificent part of France. Her fiction includes the novels Labyrinth (2005), Sepulchre (2007), The Winter Ghosts (2009), Citadel (2012), and The Taxidermist's Daughter (2014), as well as an acclaimed collection of short stories, The Mistletoe Bride & Other Haunting Tales (2013). Kate's latest novel is The Sunday Times No.1 bestseller, The Burning Chambers (2018). 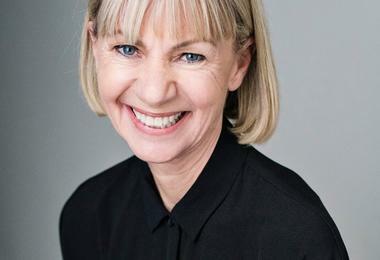 The Co-Founder and Chair of the Board of the Women's Prize for Fiction, in June 2013 Kate was awarded an OBE in the Queen's Birthday Honours List for services to literature. 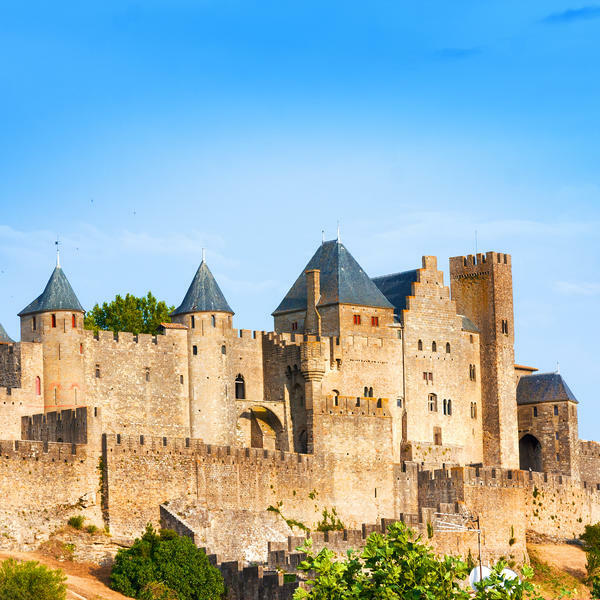 Kate divides her time between Sussex and Carcassonne, the hilltop town in southern France that has featured as a vivid backdrop to several of her novels. 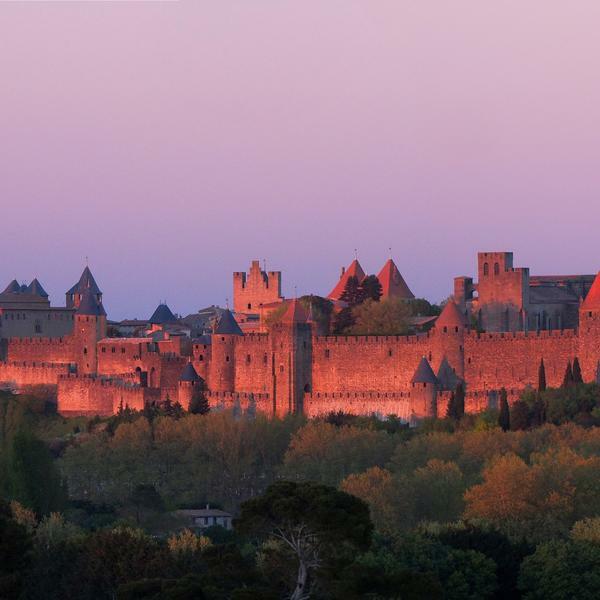 A glance at the citadel was all it took - I've been head over heels in love with Carcassonne ever since. I hope you can join me here in this dazzling city, with so many stories to tell. 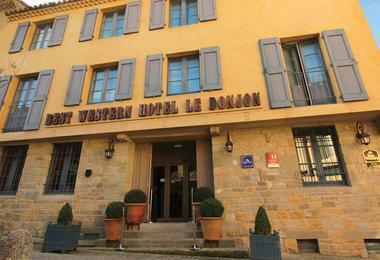 * The price is per person based on two sharing twin/double room at the four-star Donjon Hotel, Carcassonne. Single supplement: £360. Our travel partner, Travel Editions, is ABTA-bonded and this trip is ATOL-protected. 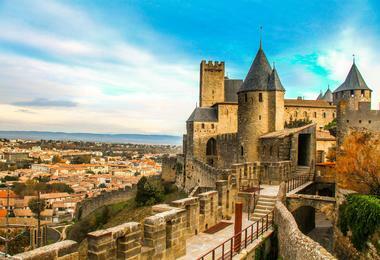 Travel by Eurostar from St Pancras or Ebbsfleet to Paris and onwards by TGV to Narbonne. 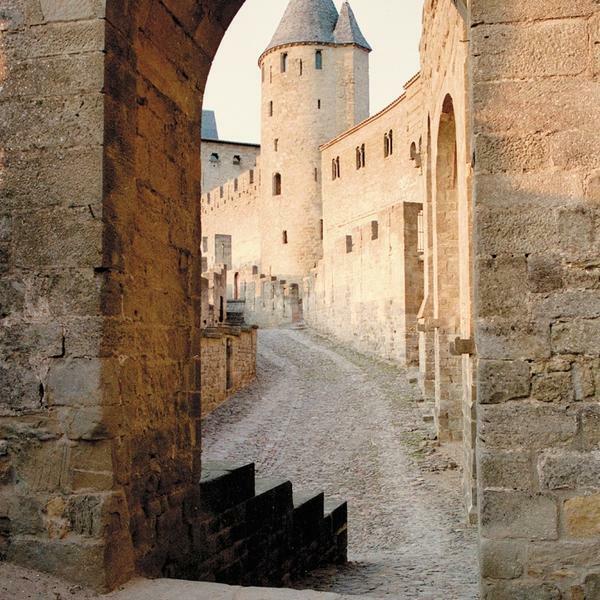 Transfer from Narbonne Station to Hotel Donjon in Carcassonne. 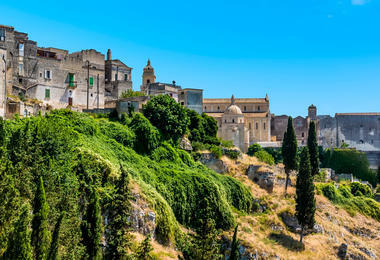 A guided day on foot with your tour manager, Alex Patrimonio to introduce you to the delights of this spectacular citadel town. 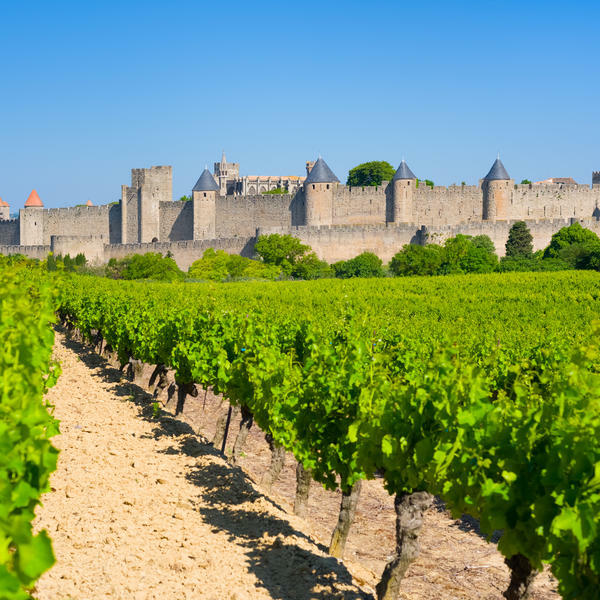 Highlights include the Chateau Comtal and Basilique-St Nazaire. Lunch at a typical restaurant and cruise on the canal du Midi will enhance a relaxing and informative day. 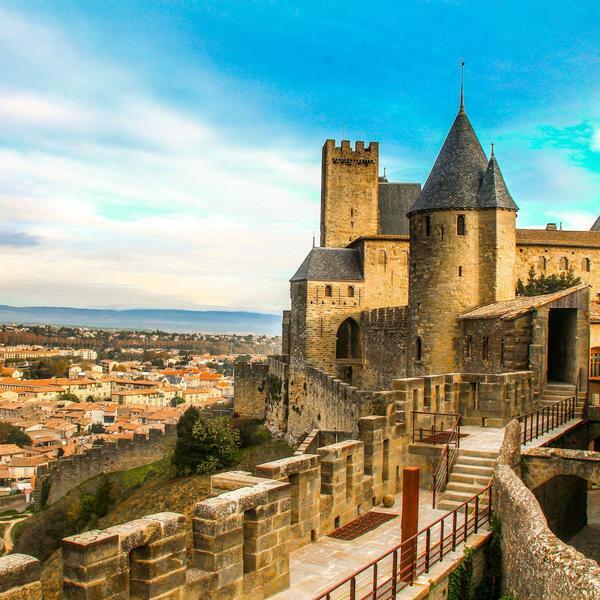 A major city during Roman times Narbonne's delightful, restored, medieval centre is where you'll find the majority of its sites. These include the impressive 13th century Cathédrale Saint-Just et Saint-Pasteur and the Archbishop's Palace. 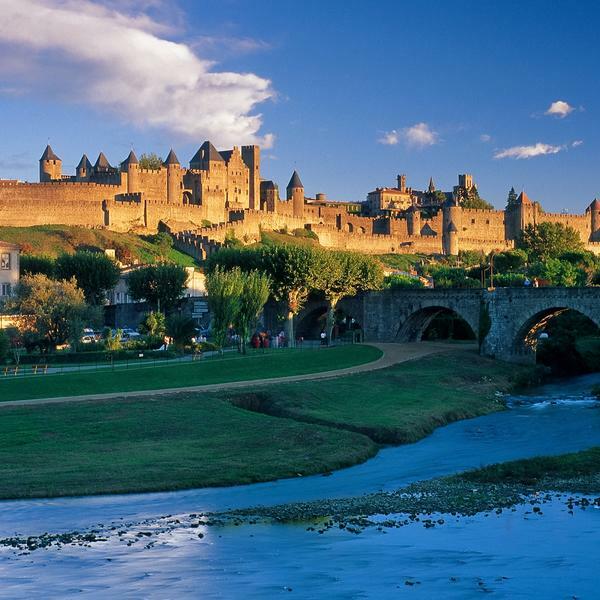 Famous for bullfights, rugby and wine, Beziers is dominated by its massive 14th century Cathedrale St-Lazaire. 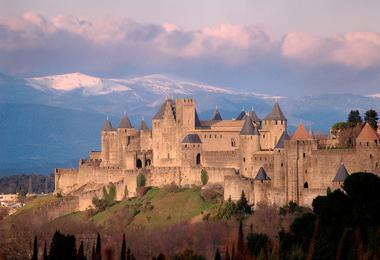 In 1200, several thousand of its citizens were massacred in the crusade against the Cathars. The papal troops were told to "Kill them all. God will recognise his own!" 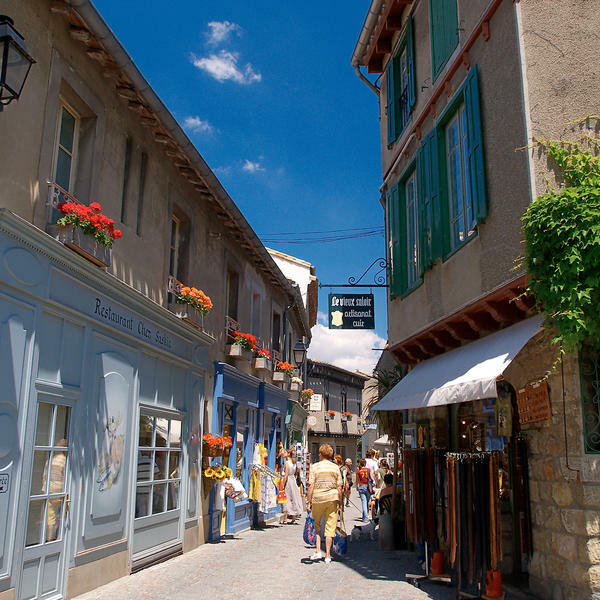 A morning visit to Mirepoix on market day offers a wonderful flavour of southwest life. Its huge square, lined with ancient houses is packed with stalls. 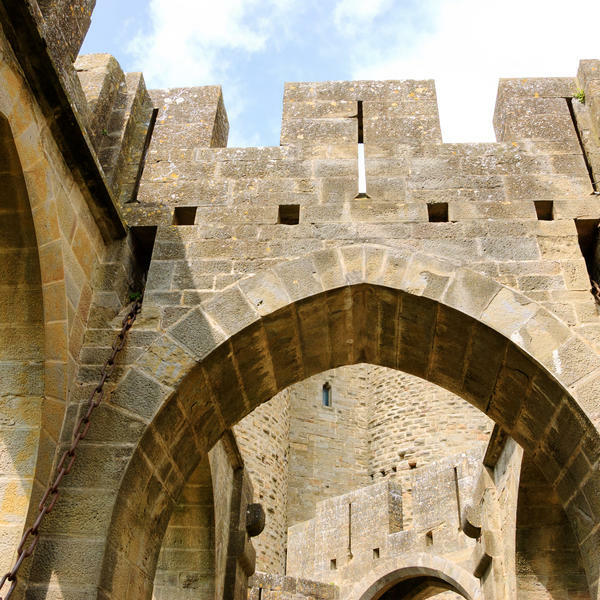 The afternoon is spent at the ruins of the Cathar castle of Montsegur, the last stronghold of the Cathars, situated atop the hill above the town, reached by a steep path. 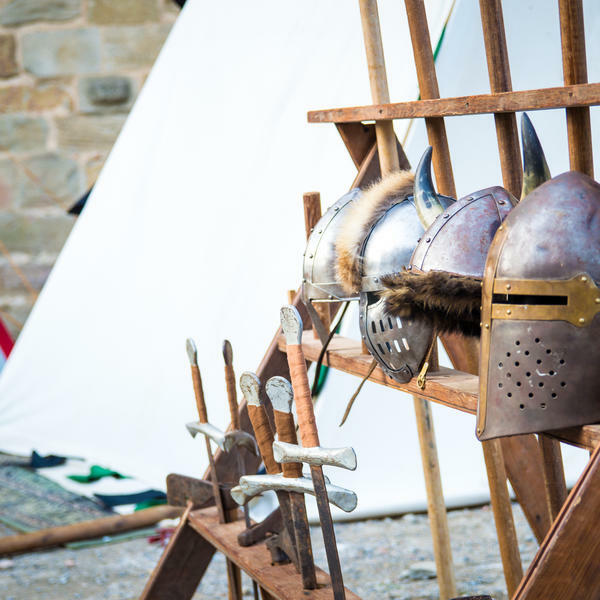 In 1243, 10, 000 papal troops laid siege to the castle for 10 months. When captured, 205 Cathars refused to convert and were burnt alive. Return to hotel with time to freshen up before evening talk from Kate Mosse, welcome drink and dinner with wine at the hotel's brasserie. 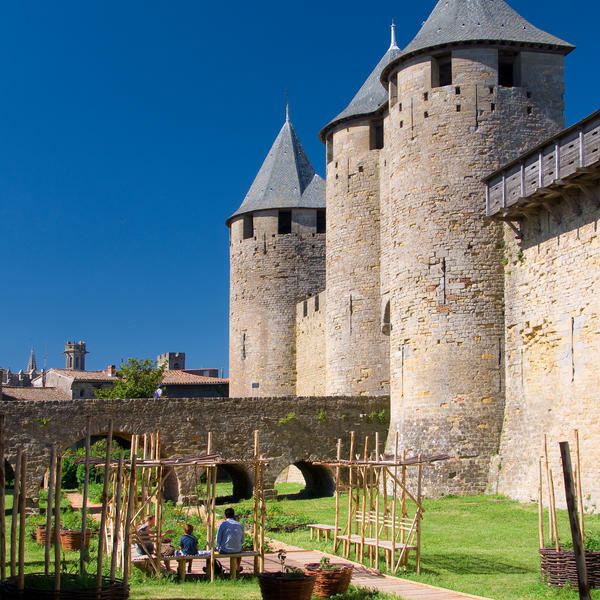 This morning we continue our exploration of Carcassone with an appearance from Kate, who will elaborate on its significance in her writing. Afternoon excursion to Rennes-le-Chateau & Rennes-les-Bains, the spa town that featured in the best-selling "Sepulchre." 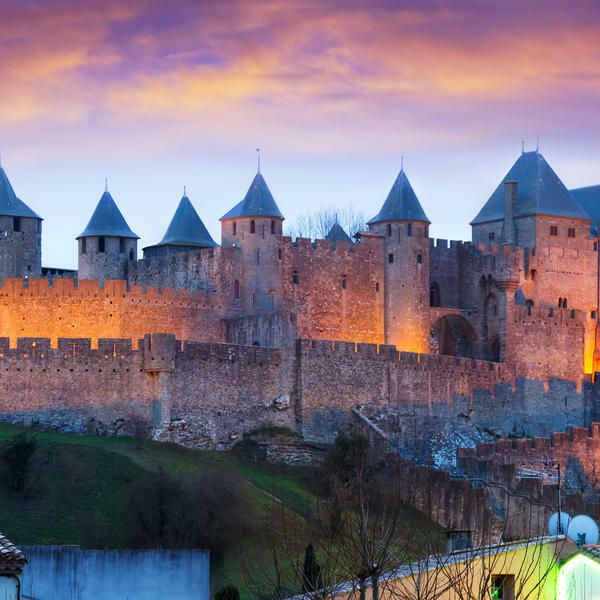 Toulouse was once the home to the resplendent court of the count of Toulouse who controlled much of southern France and it continues to be an important city today, particularly in terms of aviation. The old city, the Ville Rose, is compact and easy to explore - the two churches St-Sernin and Les Jacobins, together with some Renaissance townhouses are architectural gems. Transfer to Narbonne station for return TGV and and Eurostar to Lille and onwards to Ebbsfleet or St Pancras.